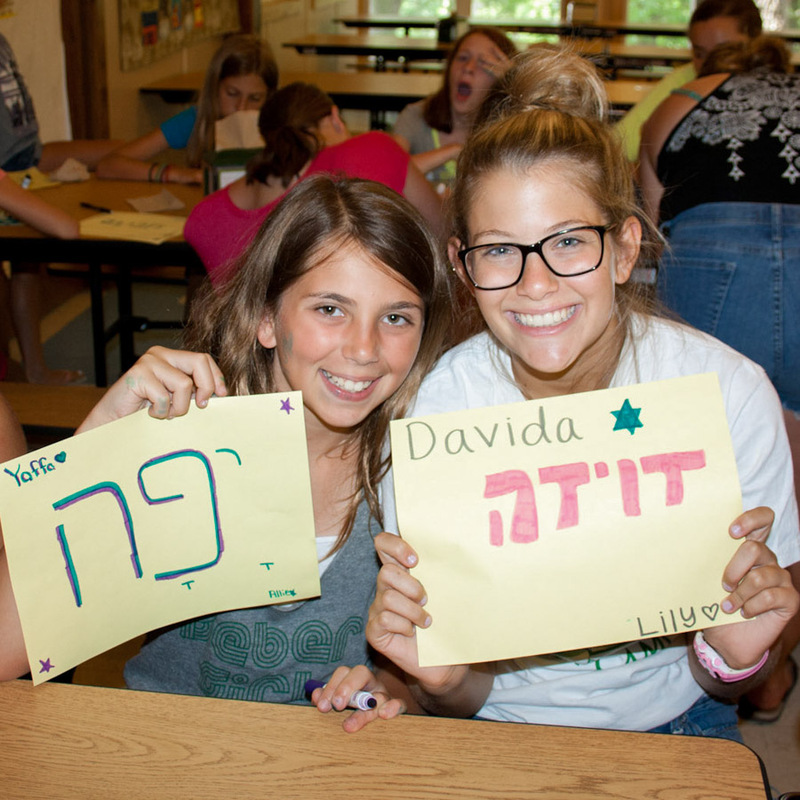 We feel a tremendous responsibility for our campers’ Jewish experience and outcomes. We seek to make Jewish life meaningful, engaging, accessible, and fun to all members of our community. We do this by means of providing Jewish education and encouraging intentional engagement with Jewish practices and tradition. By embodying an environment of challenge-by-choice and creating safe opportunities to step outside of your comfort zone, we develop into the best versions of ourselves. By building a fun, welcoming, and inclusive community,we create a holy place where each individual is valued and connected to one another. By encouraging members of our community to learn from those around them, take responsibility for their actions and stand up for what they believe in, we are paving a path for empathic and resilient generations ahead. By embracing Israel as our Jewish homeland, we deepen our connection to our people, our land, and our history. By recognizing the good in our lives, we encourage reflection, expression, and happiness so that we may embrace our responsibility to repair the world. 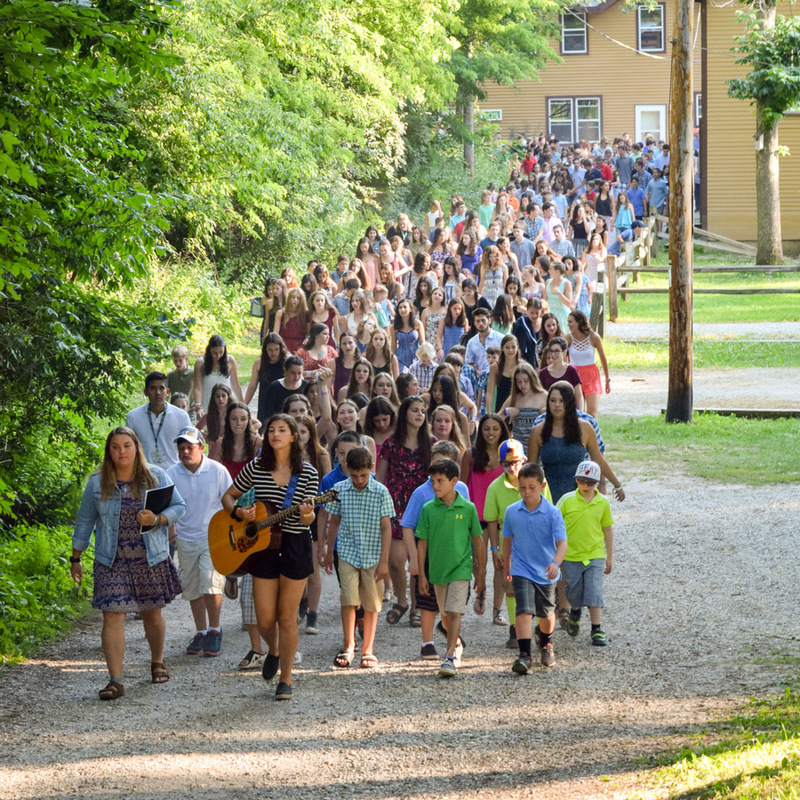 From there, the entire camp is escorted by our Songleaders to Crown Hall where service begins with speeches by our Counselors In Training (CITs). 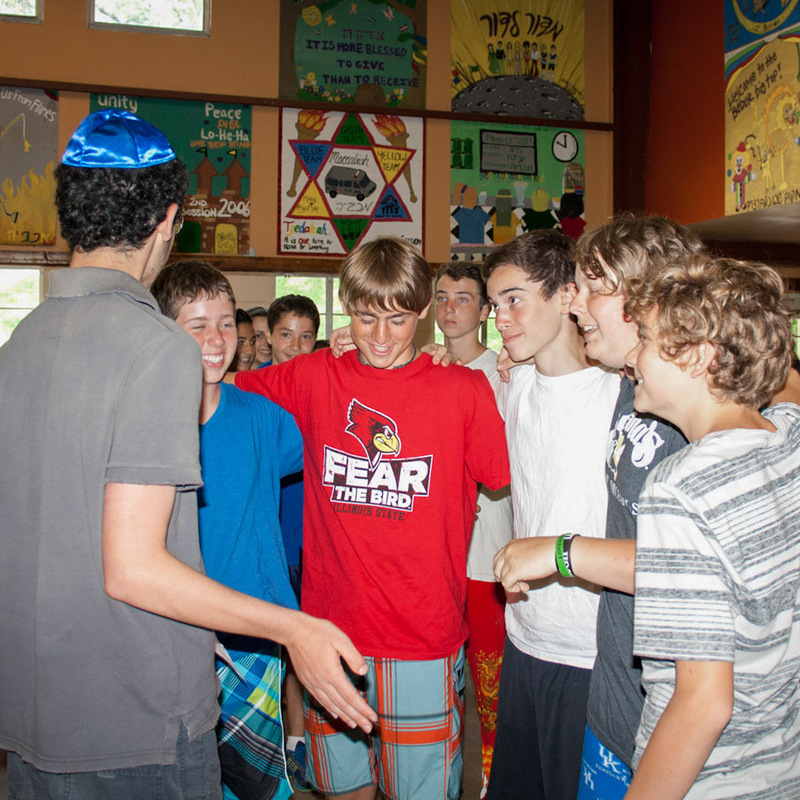 Our Kabbalat Shabbat services are amazing as they are led by our Services Leader, Songleader, and volunteer campers. 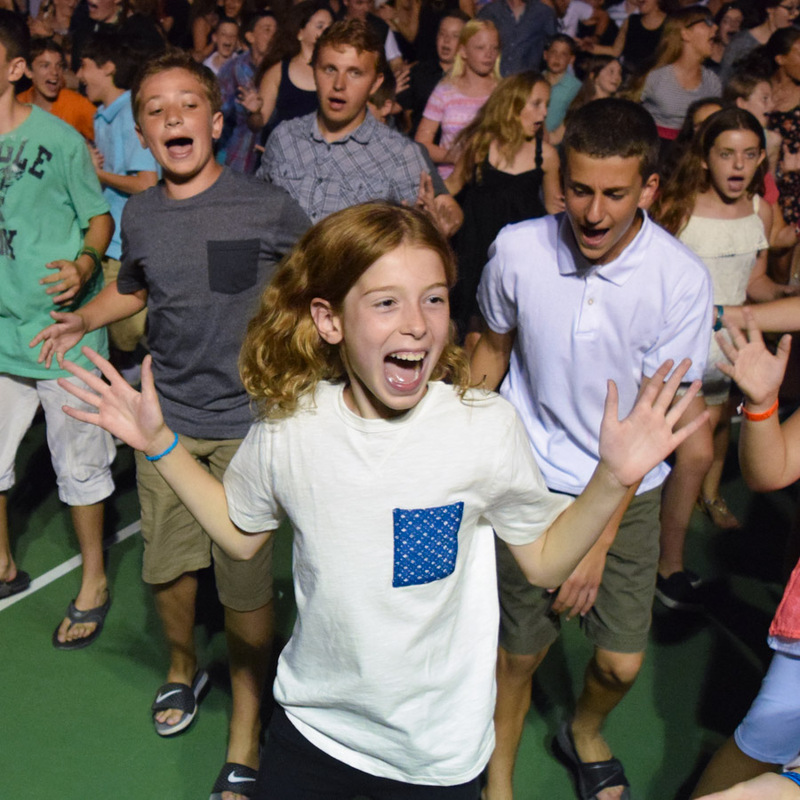 After services, we move to the dining hall for a traditional festive Shabbat meal followed by all-camp Israeli dancing on the basketballs courts and a song session in Crown Hall. Saturday morning begins with General Activity (GA) time or a late wake-up and breakfast buffet on the island served by our Teen Leadership Program participants, before everyone heads to Crown Hall for Shabbat services. 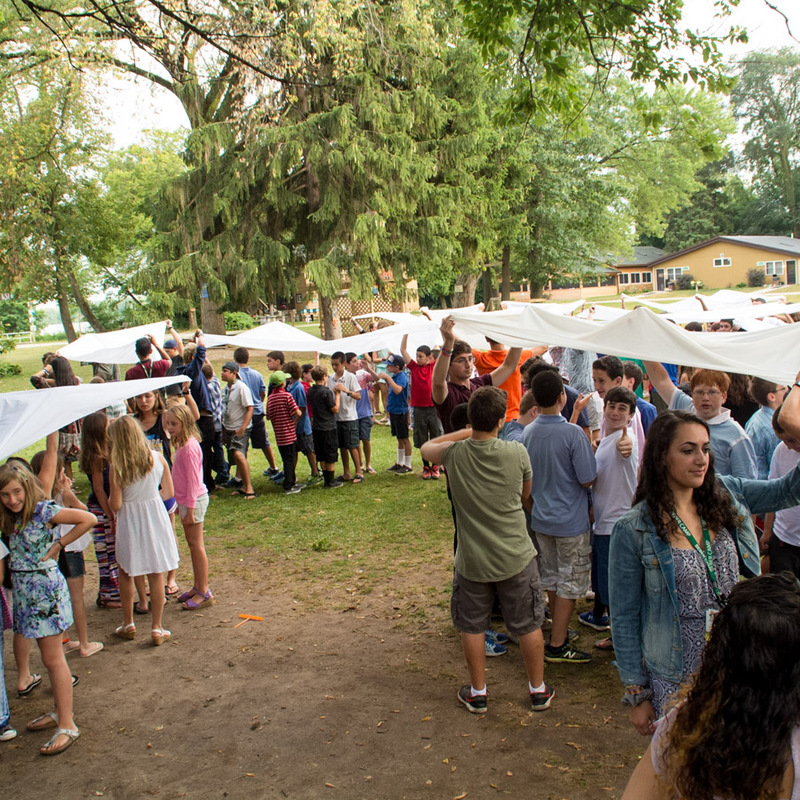 The services on Shabbat morning include a traditional Torah service where campers have the opportunity to lead the service and/or read from the Torah. The programming throughout the day includes Mikud (cabin group time to reflect on the week) for all campers and 3 rotations: Pool time, Shabboptions, and Maccabi Challenge. 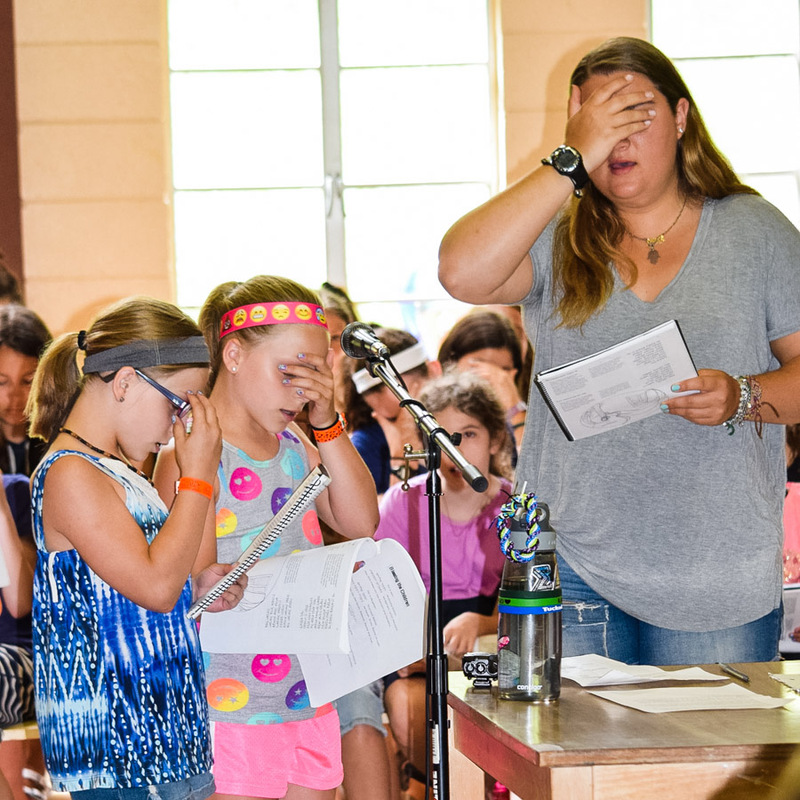 Shabboptions are programs developed and run by Jewish Life staff that are designed to be so much fun that campers don’t even realize they’re learning! Examples of Shabboptions include: Golda’s Kitchen, Screaming Meditation, Slip ‘n Slide Israel trivia, and Advanced Israeli Dancing. Maccabi Challenge is an active rotation designed to community build each week by means of sport and physical challenges. Shabbat at Beber Camp wraps up with a moving Havdallah service on Saturday evening in our outdoor, lakefront amphitheater. We sing songs, recite the Havdallah prayers, hear from each cabin about their week and even announce the winner of cabin cleanup for the week!